Joel Embiid established the Arthur Embiid & Angels Foundation to honor his late younger brother who tragically lost his life three years ago. The foundation’s mission is to help at-risk youth in Joel’s native country of Cameroon through education, athletics and health & wellness. As a Cameroonian-native, Joel wanted to partner with an organization that is already on the ground in his home country where his family resides. Joel chose UNICEF because both foundations have similar goals and their mission statements closely align. The United Nations Children's Fund (UNICEF) works in more than 190 countries and territories to put children first. UNICEF has helped save more children’s lives than any other humanitarian organization, by providing health care and immunizations, clean water and sanitation, nutrition, education, emergency relief and more. Thanks to UNICEF’s work in Cameroon there are 102,000 children that are now accessing quality, basic education and more than 96,000 children in 327 schools that have benefitted from teaching and learning materials. Additionally, 42,000 children were treated for Severe Acute Malnutrition and UNICEF continues to support the local health district to implement the nutritional activities through capacity building and the provision of inputs to fill the gap. 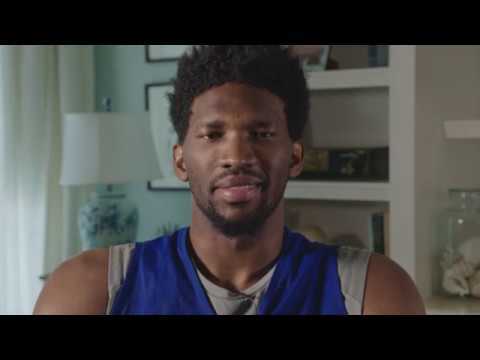 Joel with the Arthur Embiid & Angels Foundation aims are to protect children victims of social divides through education, health, sports, and the promotion of the environment. The fundraiser started by the foundation will run through the holidays to support UNICEF’s work in Cameroon. Embiid is tipping off the fundraiser with a $25,000 donation. The campaign hopes to make strides in youth protection with the proceeds of this fundraiser.